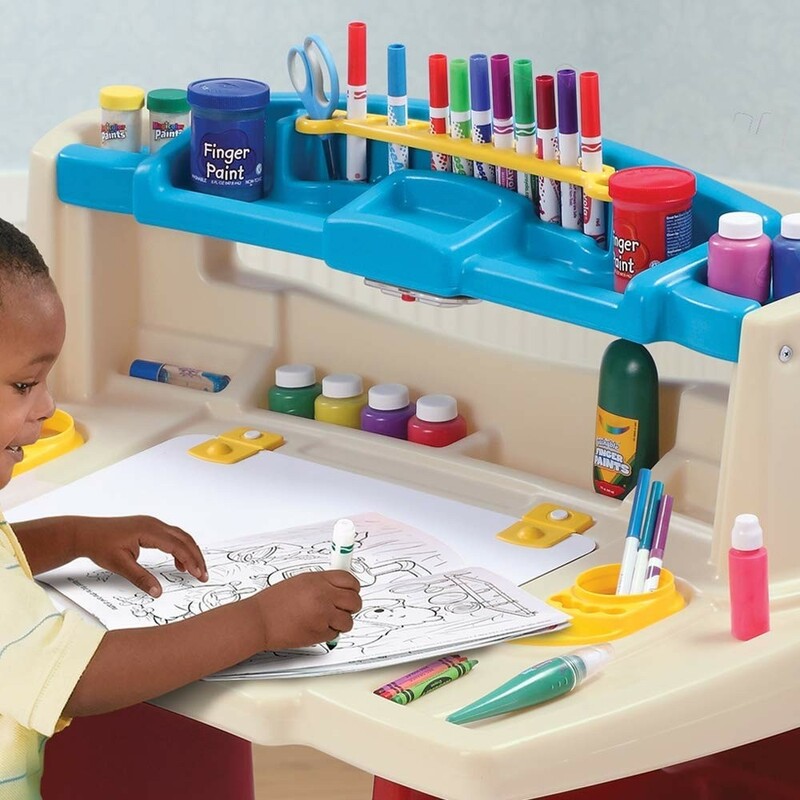 The Step2 Deluxe Art Master Desk is the perfect place for your little artist to work! 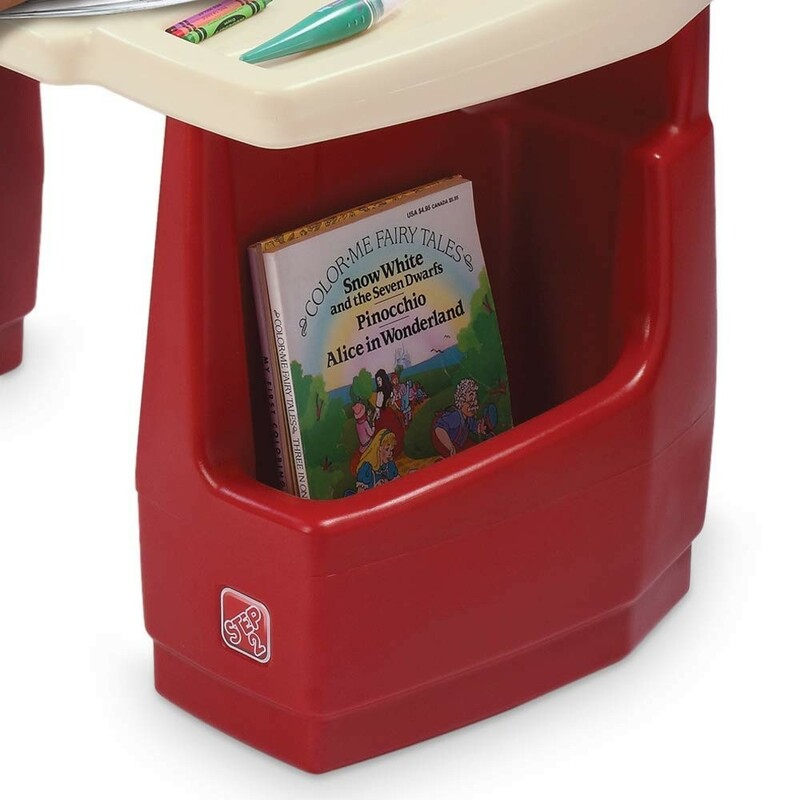 This desk provides plenty of storage, including a storage area underneath the hinged dry-erase writing surface, a raised shelf, four large bins, and vertical compartments for coloring books and tablets. 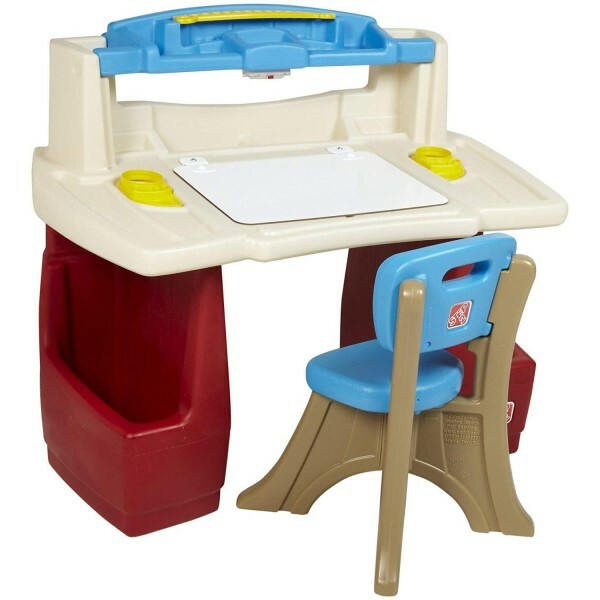 The large work surface gives kids plenty of space to spread out their work, and it even has a push-button, battery-powered light. 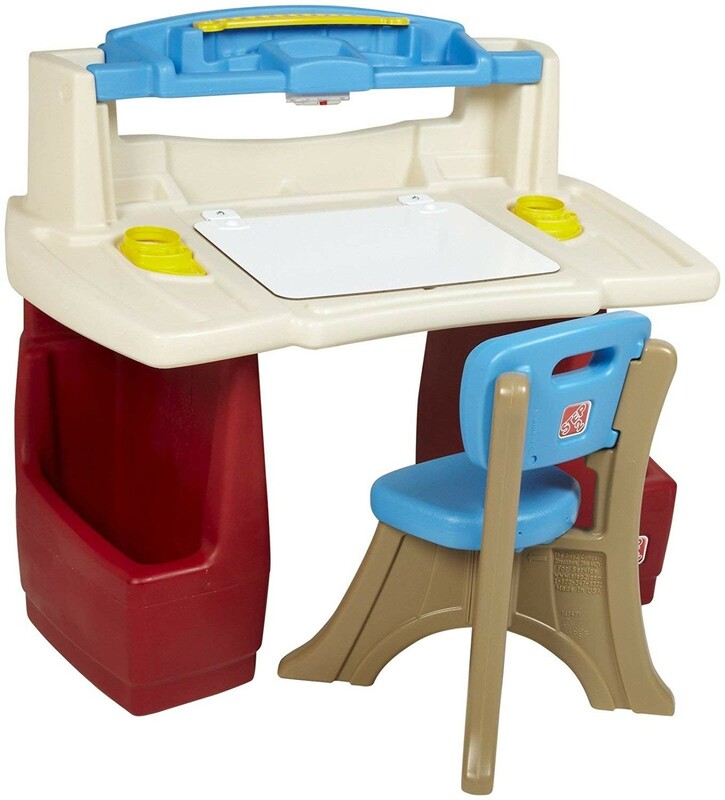 In addition to the desk, this set comes with a Step2 New Traditions chair that's just the right size for toddlers and preschoolers. Plus, parents will love that the plastic surface wipes clean easily and matches most playrooms and kids' bedrooms!